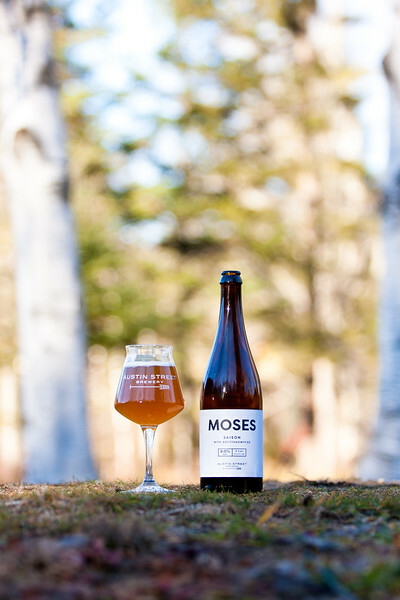 Moses is an imperial strength saison fermented with a blend of saccharomyces and brettanomyces. Brewed with a blend of pilsener, and wheat malts and a subtle addition of American hops, this is our exploration of everything brettanomyces can bring to the saison style. Overripe apricot, tart green apple and a slight peppery finish highlight the flavor profile with the wheat keeping the body full and bringing balance to the beer.